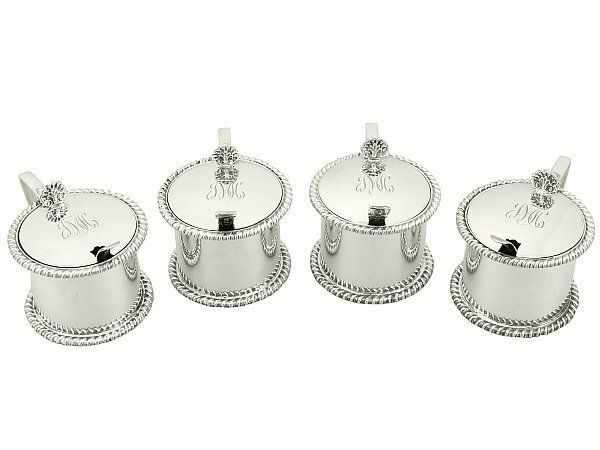 These exceptional antique George V sterling silver mustard pots have a plain circular drum form, in the George III style. 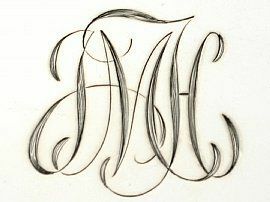 The upper and lower rims of the body are embellished with fine and impressive applied gadroon decorated borders. 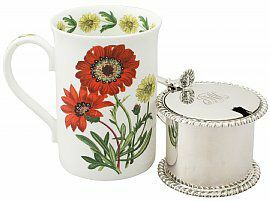 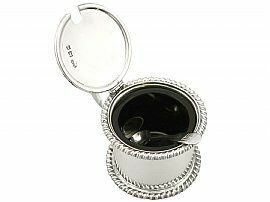 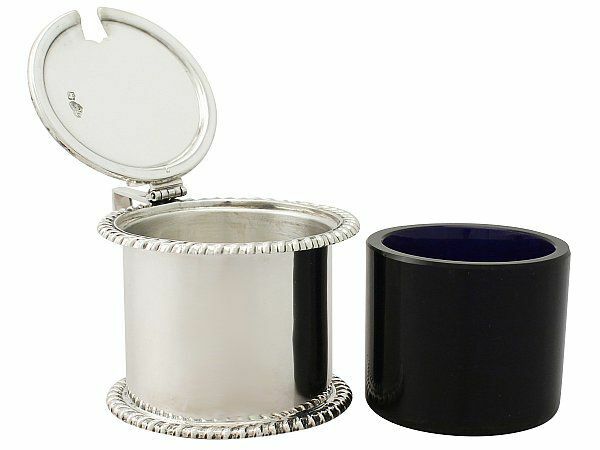 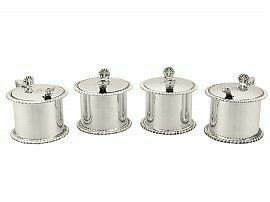 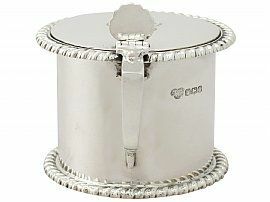 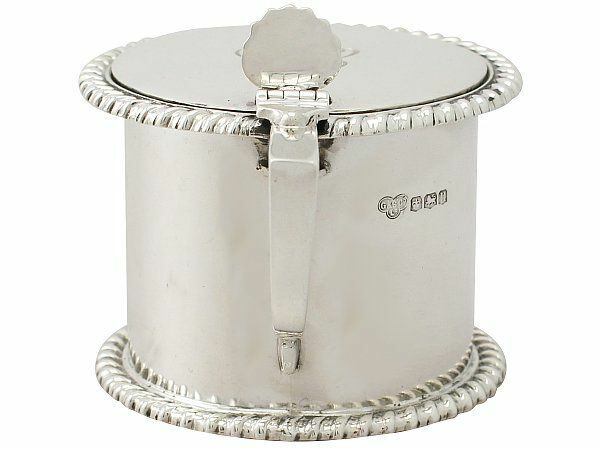 These antique silver mustard pots are fitted with hallmarked hinged covers surmounted by shell decorated thumbpieces. 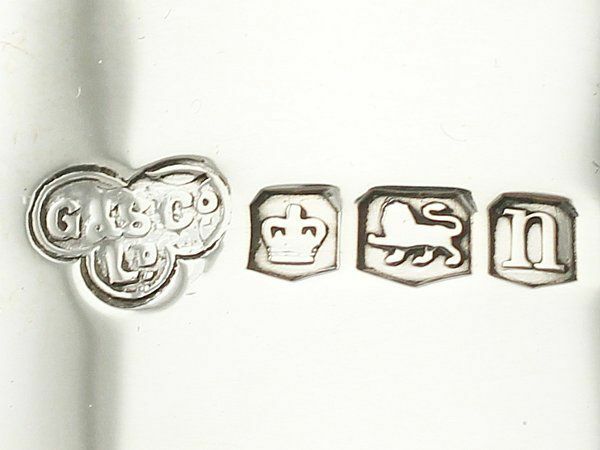 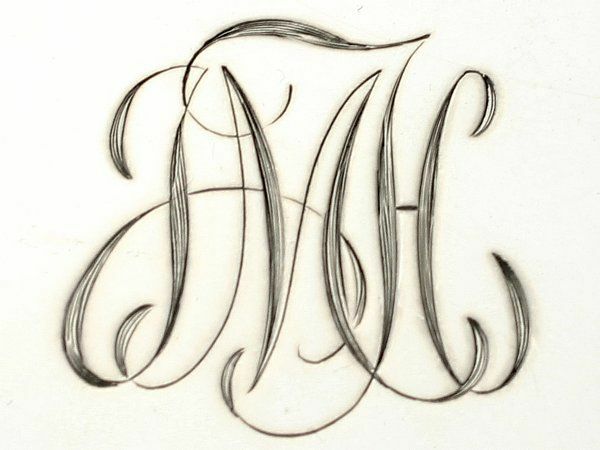 The surface of each cover is ornamented with the contemporary bright cut engraved monogram initials 'JMH'. 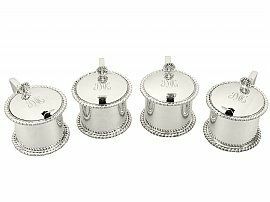 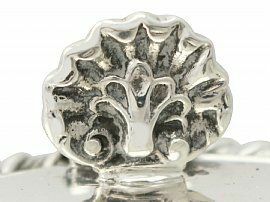 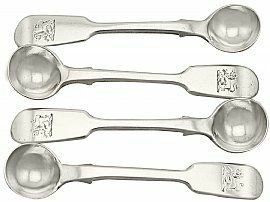 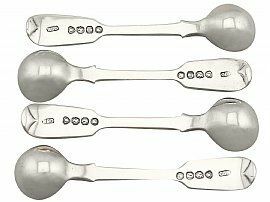 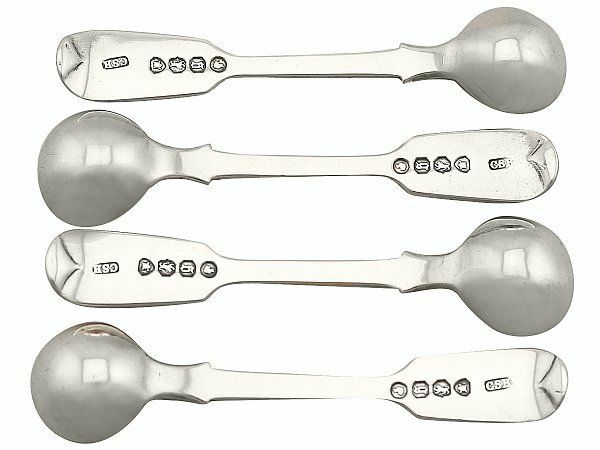 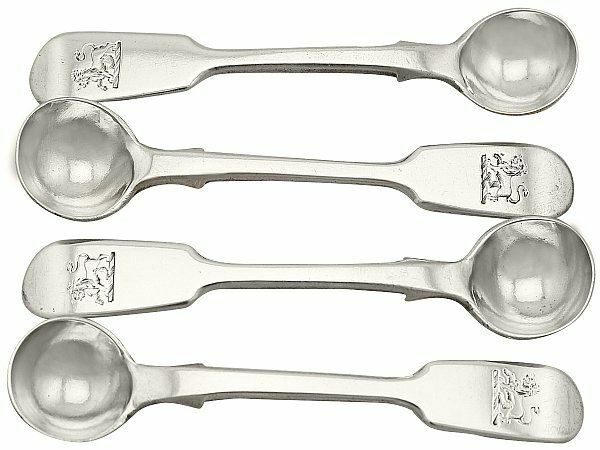 These fine antique silver mustard pots have plain angular scroll handles, each ornamented with a pendant drop design in junction with the hinge. Each piece is fitted with a removable blue glass liner. 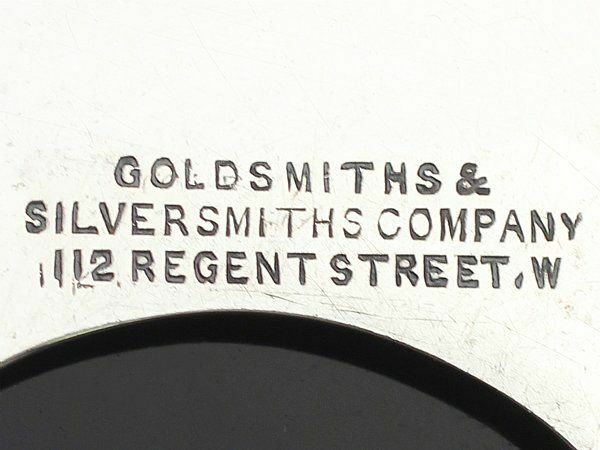 This impressive set was crafted by Goldsmiths and Silversmiths Co Ltd between 1930 - 1933, three were assayed in London and the other in Sheffield; the mustard pots are all the same size and an exact match. 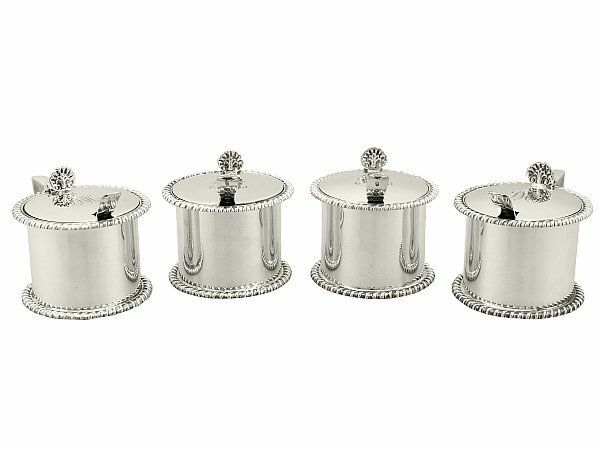 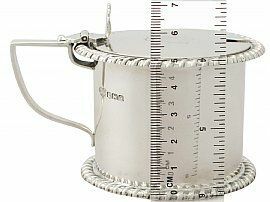 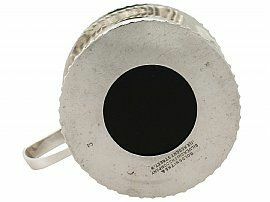 These antique mustard pots are an excellent gauge of silver, excellent quality and in excellent presentation condition. 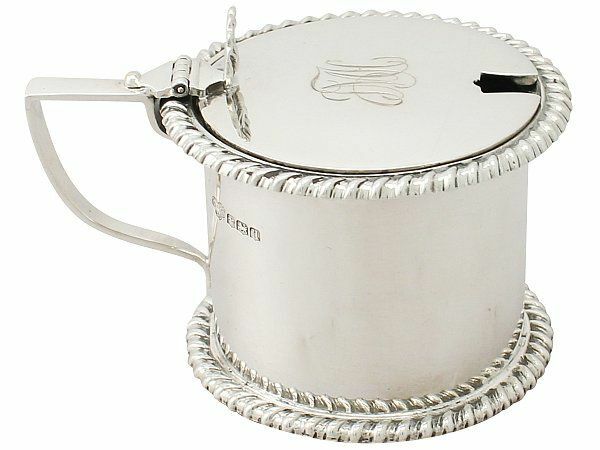 The decoration to each mustard pot is very sharp. 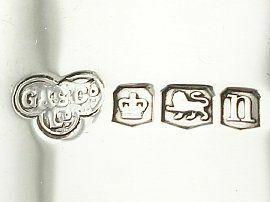 Full hallmarks struck to the surface of each and part hallmarks struck to the interior of each cover are all very clear.